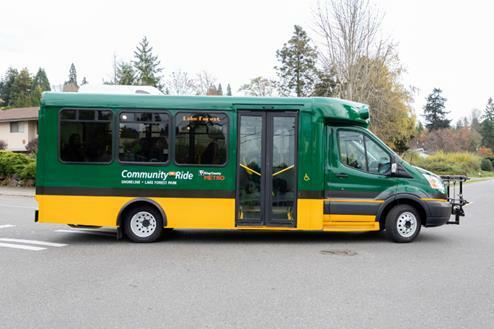 The Shoreline-Lake Forest Park Community Ride service launches February 5, 2019 in Lake Forest Park and the eastern portion of Shoreline, including Shoreline Community College. It will provide on-demand, evening transportation service within the area. The Community Ride service travels within a specified area instead of traveling along a fixed route with a set schedule. 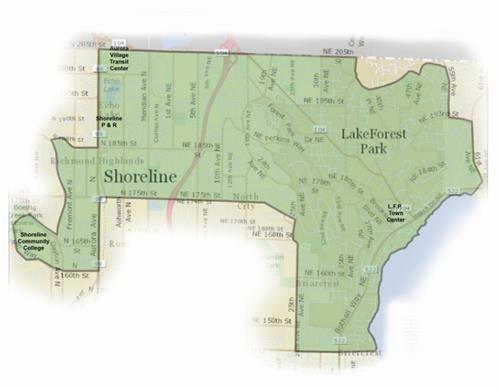 Shoreline-Lake Forest Park’s service differs from existing Community Ride services in that it is app-enabled and on demand. Advanced reservations are not required, nor available. The new service will operate in the evenings only and allow residents to easily connect to local points of interest as well as transportation hubs. In 2014, Shoreline’s bus route 331 ceased its evening operation due to low ridership at the time. Community Ride will address the resulting gap in service past 6pm. Riders without access to a smartphone or data plan may book rides by phone at 1-855-233-1880. Hours of operation: Monday – Saturday 6pm to 11pm and Sunday 6pm to 10pm. All Community Ride vehicles are wheelchair accessible and have bike racks. All standard Metro fares and payment methods apply, including ORCA, cash, paper transfers and mobile ticketing. Metro has also launched a 24/7 reservation-based, group trip transportation option called Community Van. See article.